Every day, we at IntraHealth International encounter health workers who inspire us. But every so often, someone stands out—a health worker whose passion, commitment, and resolve leave us in awe. That’s why IntraHealth joined Senegal’s Ministry of Health in Dakar to honor a group of individuals whose hard work, determination, and steadfast spirit of teamwork have changed the health of an entire nation. These awardees were nominated by their communities and colleagues for going above and beyond the call of duty. Each has made tremendous contributions to the health care system in Senegal, where there are just four nurses and midwives for every 10,000 people, and one physician for every 14,000—far below the World Health Organization recommended minimum of 23 providers for every 10,000 people. 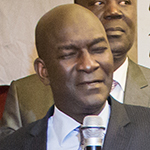 For 28 years, from 1986 to just one week before our 2014 awards ceremony, Dr. Ibra Ndoye served as executive secretary of the National AIDS Control Commission in Senegal. From the very beginning of the AIDS epidemic—and Senegal’s first confirmed case—he has helped lead Senegal’s fight against HIV, and even made Senegal one of the first African countries to use anti-retroviral medicines to control the virus. The prevalence of HIV infections among Senegalese adults is just 1.7%. Ndoye spearheaded Senegal’s early response to HIV, including vigorous preventive action, care for AIDS patients, and mobilizing people at all levels—including teachers, soldiers, sports associations, women’s groups, religious leaders, and nongovernmental organizations—in those efforts. 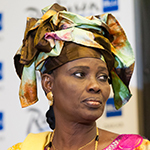 Fatimata Diallo Camara has been a nurse midwife at Colette Senghor Health Post in Ziguinchor, Senegal, since she earned her diploma in 1980. Throughout her career, she has worked tirelessly to make sure her clients have access to high-quality family planning and maternal health services. Fatimata has been a tireless champion of reproductive health, and has worked diligently for more than 30 years to ensure that her clients have all of the information they need to get the method of contraception that they want, For the past year, she has participated in the TutoratPlus program supported by IntraHealth, serving as a coach and mentor to other family planning providers in Zinguinchor. Bakel is a rural, sparsely populated district in northeast Senegal where half the population of 96,000 is under 15 years of age. There is no hospital—just one health center, 19 health posts, and seven health huts. Working in those facilities are two doctors, three pharmacists, eight nurse midwives, and 23 nurses and nursing assistants. They, along with 52 community health workers, care for all 96,000 people in Bakel. But the Bakel District Health Team is known for consistently offering high-quality care despite the challenges. They mobilized their communities to face a cholera epidemic. They created a district blood bank. They offer free HIV counseling and testing in all their health posts. And they’ve made great progress in improving maternal and child health in the district. 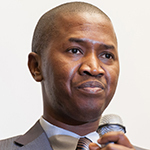 Over 150 representatives of the Senegalese government, the private sector, civil society, donor agencies, and other stakeholders gathered in Dakar to honor the awardees. For 14 years, IntraHealth has worked with the Senegalese government to strengthen the country’s health system and make high-quality care available to more of the population. Senegal suffers from an acute shortage of health workers, though the government has vowed to change that—another cause for celebration at the ceremony in Dakar. The health worker awards celebration took place February 17 during IntraHealth’s Annual Global Leaders Meeting, which gathered 40 leaders of the organization from 14 countries. IntraHealth’s first health worker awards ceremony took place in Uganda in 2013.